Hi! 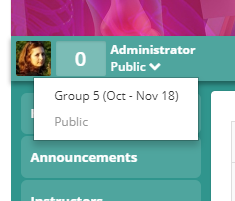 I have noticed that when I add a new course admin, this person does not always have an access to multiple cohorts and I need to add them manually. Also, some admins do and some admins don't have an access to multiple cohorts and I have not been able to identify a pattern when this happens and to whom. I remember that in the past admins could access all cohorts automatically by default and it was very helpful. It would be great to have this 'feature' back. The reason behind this is that the admins can't see a list of cohorts unless they are added to the cohort. The assumption is that they have an access to all of them (this is based on a common understanding of an admin role which is the highest level role having an access to everything without the need to be granted any additional access to selected features/settings). This can lead to multiple issues such as moderating/facilitating a wrong cohort, enrolling students to a wrong cohort, etc. Look forward to hearing your feedback and suggestions. Thanks. Hi Katarina! When you say "can't see the list of all cohorts" you probably mean this, right? I noticed this as well. However, if they go to Course setup - General, they still see all cohorts. I have a theory though. If someone first created the classes, and THEN add the additional admins it might be different if the order is the other way around, so if they added the admins first, and THEN created the classes. What do you think? I haven't tested this though. Hi Alenka, yes, that's correct. From what I could observe, our users rely on the information in this dropdown menu and they usually do not check it elsewhere. There is also the general assumption that admins have an access to everything so that's perhaps another reason why they do not check it in Course Setup - General. Yes, I see what you mean - this would explain it. I haven't tested it either.